Professional Concrete Lifting and Leveling Daytona, Florida. Generally, pool decks have many unsafe parts, like slippery and wet surrounding areas, ladders, diving boards, and not to mention the pool itself. On top of all of this, there are also the tripping hazards that come from sunken pool decks in Daytona Florida, making pools even more dangerous. Naturally, sinking pool decks have more than a 3-inch difference between the pool deck slab and the bordering of the pool, which can easily become an eyesore, but more importantly it can lead to fatality. 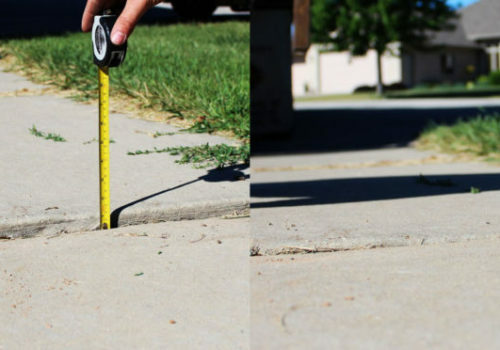 Fortunately, this is something Poly Lift USA can fix with our Concrete Lifting and Leveling for concrete sidewalks, sinking pool decks, sinking driveways, and general concrete repair in Daytona Florida. Contact us to inquire about Professional Concrete Lifting and Leveling Daytona, Florida. At Poly Lift USA we strive to offer our customers the best concrete lifting and leveling service for concrete repair in sinking concrete sidewalks, sinking pool decks, and sinking driveways in Daytona Florida. Poly Lift USA concrete lifting and leveling is a permanent, cost-effective, and best alternative to replacing sunken concrete. We fix your sinking concrete with our customary polyurethane foam injection system in four easy steps. First, small 5/8-inch holes are bored through the sunken slab. Second, an injector port is installed in each hole. Third, high-density foam is injected into the port, whereupon it expands and lifts the slab. Lastly, with the port removed, the holes are cleaned and patched with cement. Some may think, “Well my pool doesn’t have any visible sinking so Poly Lift can’t help with my dilemma.” Wrong! If your concrete pool deck doesn’t have any visible sinking but sounds hollow, this might be a result of settled or eroded soil from beneath your concrete slab. Weak soils are very abundant in the state of Florida. Some of these lands in Daytona, Florida haven’t been bothered for millions of years, so when development begins on loose soils, structural failure is almost unavoidable. For this reason, Poly Lift USA uses what is commonly known as soil stabilization. Contact us to inquire about Professional Concrete Lifting and Leveling for concrete sinking sidewalks, sinking pool decks, sinking driveways and other concrete repair in Daytona, Florida. Our soil stabilization is a 1-part Polyurethane product that is injected into weak soils to provide a glue-like bond of weak and shifting soils. This product can be injected into depths of up to 20 feet. This product is also environmentally safe and carries the same longevity claims as our polyurethane foam. Contact us to inquire about Professional Concrete Lifting and Leveling for general concrete repair in sinking pool decks, concrete sidewalks, and sinking driveways in Daytona, Florida. 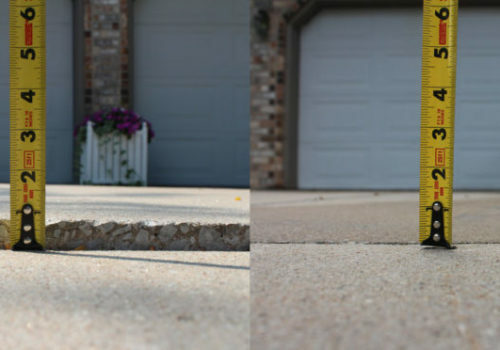 For more information or an estimate on concrete lifting and leveling for sinking concrete sidewalks, sinking pool decks, sinking driveways, and general concrete repair in Daytona Florida call Poly Lift USA. Speak to one of our highly trained professionals to see which concrete leveling option in Daytona Florida works best for you!